Wales has seven nominations in this year’s BB Countryfile Magazine shortlist of mighty landmarks, outstanding national parks, beautiful nature reserves and finest rural pubs from around the UK. The eighth BBC Countryfile Magazine Awards 2019 celebrate the best of the British countryside and people. This year, the BBC Countryfile Magazine Awards 2019 have added a new category – Village of the Year. The shortlist, which includes Welsh locations, is now open to the public vote. Breath-taking Wales receives seven nominations for this year’s Awards. The hilltop village of Bwlch, Powys situated in the Brecon Beacons National Park has made the shortlist for Village of the Year, whilst the Pembrokeshire Coast National Park has been nominated for National Park of the Year celebrating some of Britain’s least-spoiled coastal scenery. The full list of nominees can be found below. 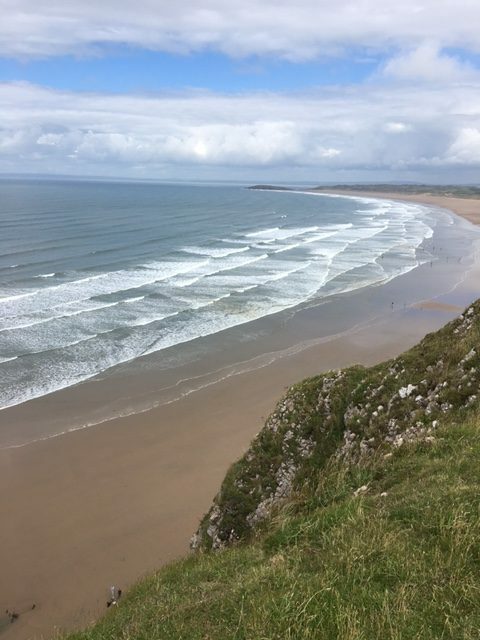 The Berwyn hills have also been nominated as a holiday destination, pub of the year includes The Dolaucothi Arms at Pumpsaint , Cefn Sidan is in the beach category along with Newborough Warren.